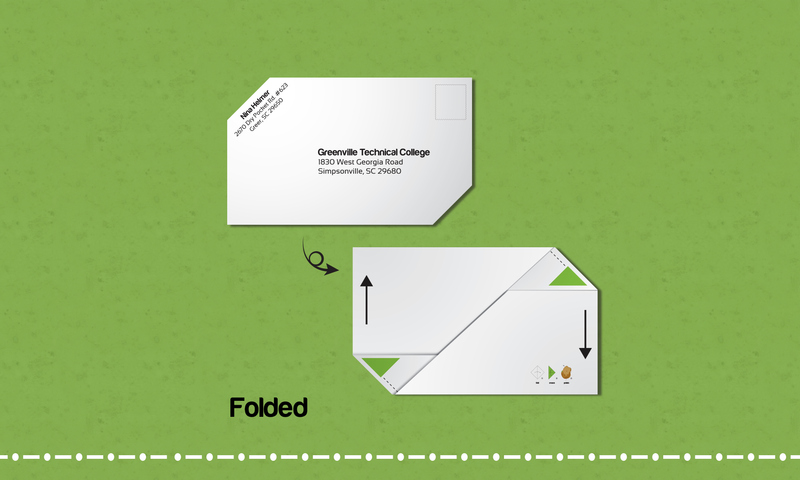 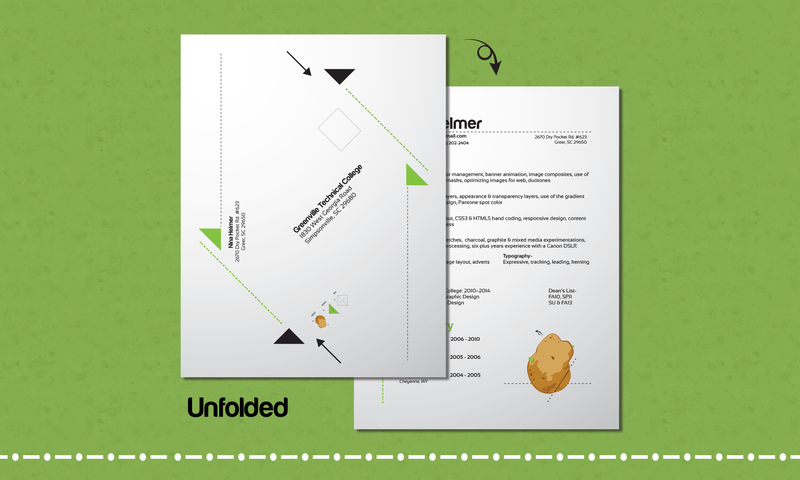 This design is printed on both sides and folds into its own envelope, which reduces the need to purchase a seperate envelope. 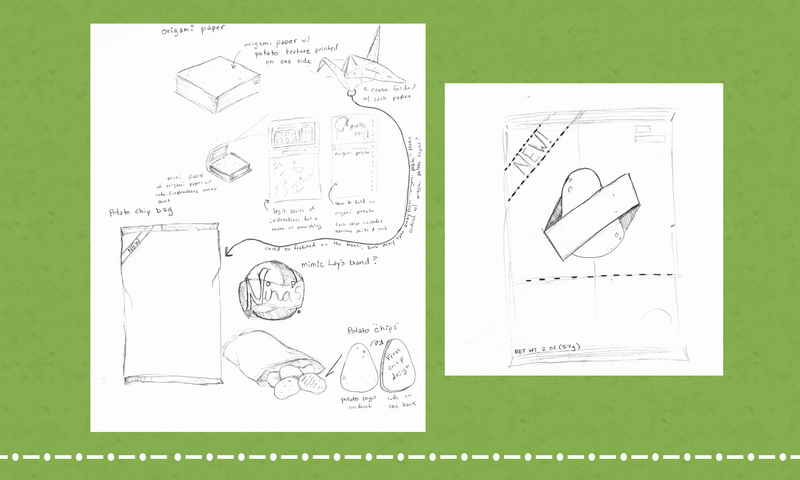 The main idea behind my creative resume is to recreate a bag of potato chips featuring my design traits and skills. 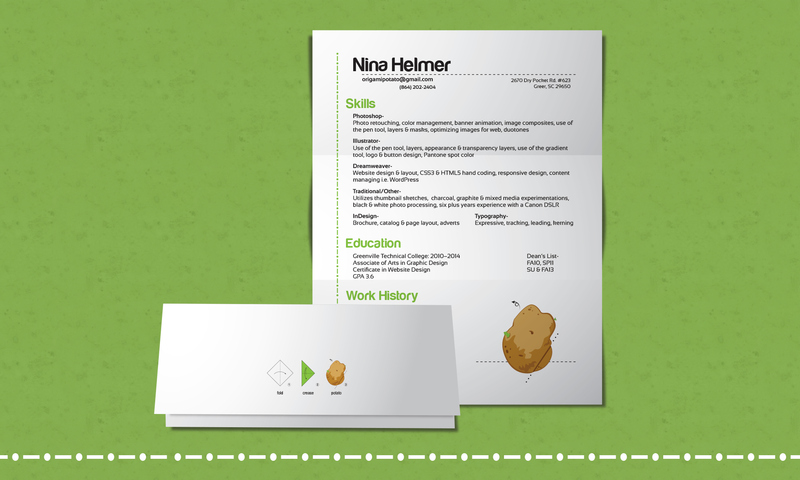 Inside the bag of chips would be cardstock potato "chips" with various sayings on the back relating to my resume. 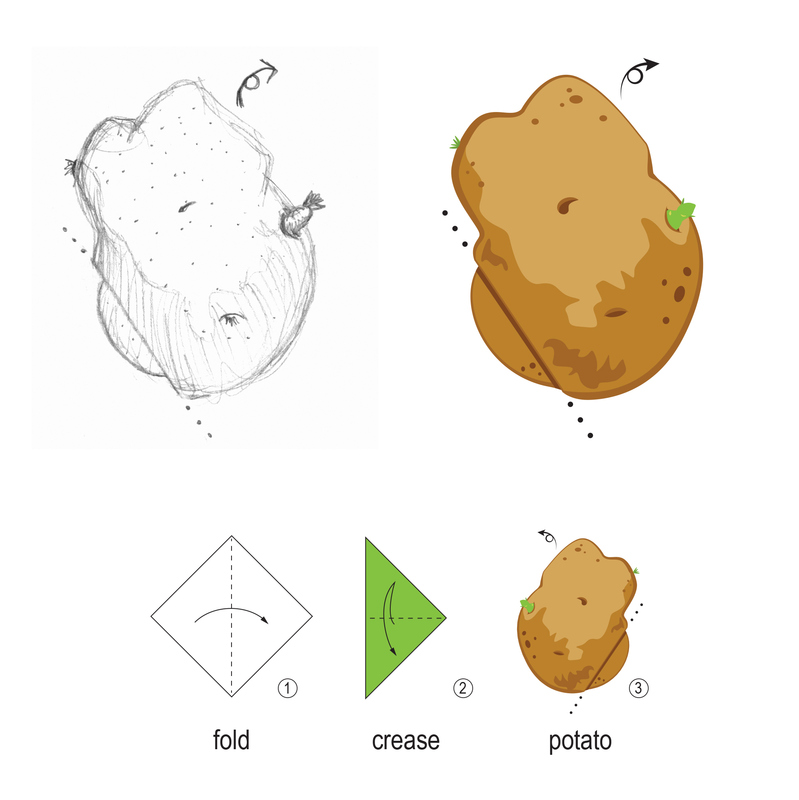 The bag design could mimic that of Lay's potato chips brand or I may even create one ultilizing my own Origami Potato logo.